Fair warning: this story will make you tear up from the sheer cuteness. This is a story of a very old, grizzled cat, with a sweet soft spot deep down that can only be brought out by one thing: kittens. 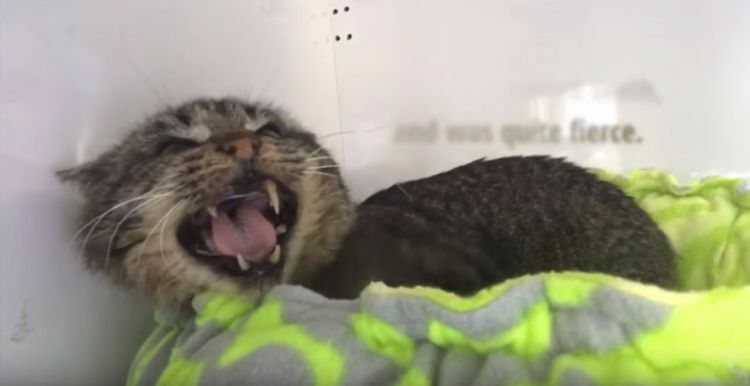 Mason was a feral cat his whole life, but had to be brought into the shelter when he was found injured. They fixed his leg, but he was still pretty fierce. Eventually, in a foster home, he relaxed enough to play, but still wouldn't allow anyone to touch him. For a feral cat, this was pretty good. But it got better. According to PetMD, a feral cat is a cat that's born in the wild and has had almost no human interaction. This explains their skittishness around humans, and the resistance against things domestic cats would like, like petting. 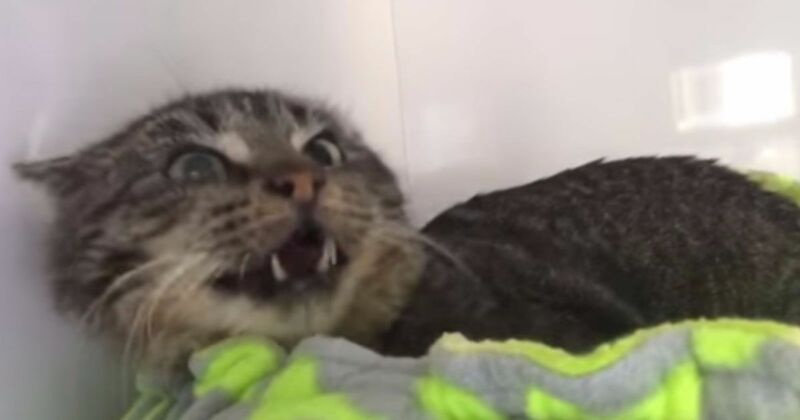 However, as VetStreet explains, feral cats can eventually coexist with humans, kind of like Mason did - friendly enough, and willing to play, but certainly not domestic. However, Mason's foster parents did not expect what happened when they brought home some friends - kittens, to be precise. It turns out Mason is a big old softy under all that fur. You won't forget the moment he nuzzles with them, and how gentle he is with all their curiosity and pawing. The video is below, and it's a must-watch! Send this to any of your friends and family that would love a story like this. 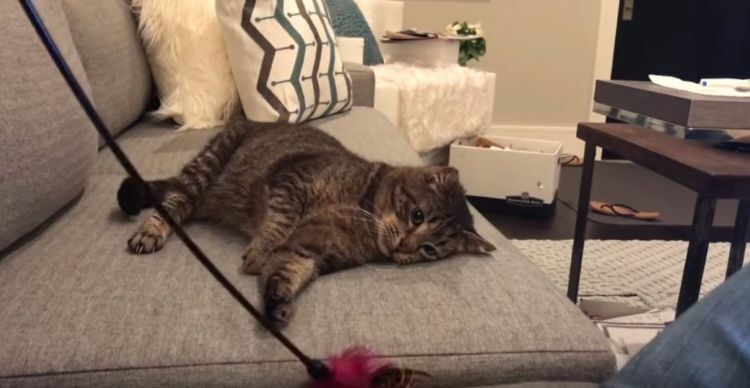 Watch as this young kitten refuses to loosen its grip on its newly discovered toy. 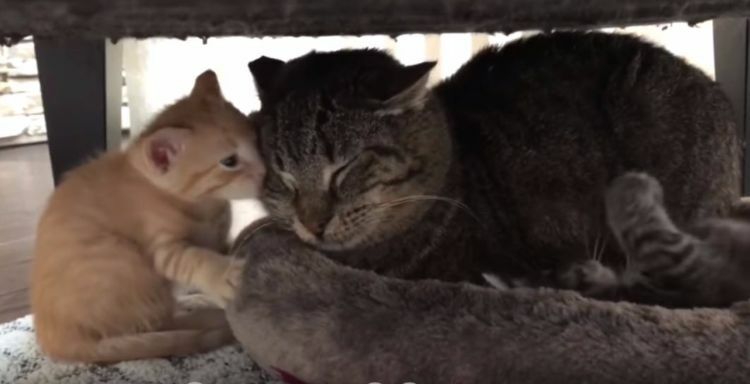 Read this ode to an incredible man and his nine rescued street cats.